Can you explain why the longer the line the more the vertical dispersion is restricted? I'm not tall, but my AMT tweeter has an 80x30 degree horn so vertical dispersion mismatch is one of my concerns. An array of drivers simply create a wavefront that's shaped like the array. If you have a curve array that's one meter tall, you're going to get a curve wavefront at frequencies that are one meter and smaller. For the mid.s, when you have 4 or more drivers you'll get added gain between about 400 Hz and 1.3 kHz (..ex. with 4 drivers, maybe an added +1 db in addition to other sources of gain). The more drivers, the more added gain. -basically, a half-meter (about 20"s) array of mid.s at a 2 meter distance will display point-source pressure loss behavior (up to almost 5 kHz) - so that should be sufficient for most low-pass crossovers around 2 kHz. Note: the further the listening distance the higher the freq. where it starts becoming a line source. Thanks for the link to Griffin's paper!! It has been a wonderful read. I need to run some numbers to get a grip of what it would mean in my case, but can see some interesting pointers as well as some concerns to be further understood. I didn't mention in my initial post but I'm looking to drive the midrange with 45 or 2a3 SET, so sensitivity is a significant issue as is impedance. Before reading the paper I was more concerned about this, but now I see arrays could have a very interesting match with SETs. 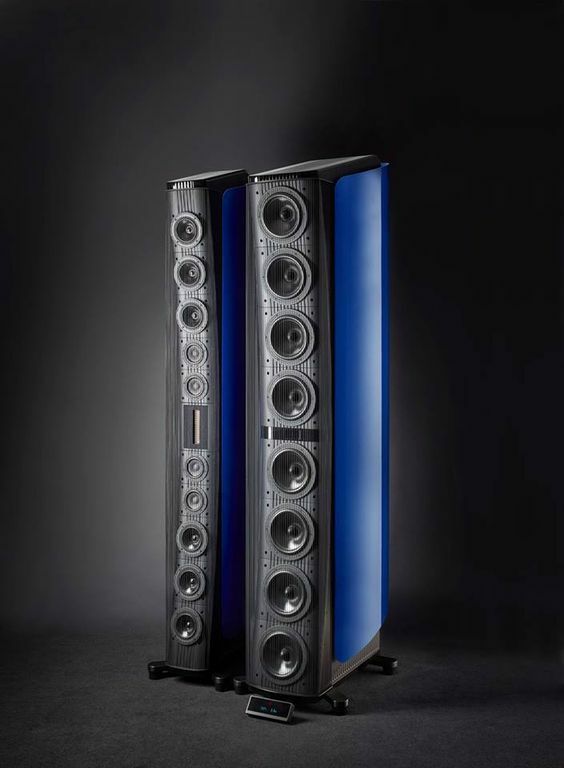 A design such that the listening position is within the near field, keeping at 3dB per doubling of distance, would make the midrange extra efficient and suitable for SETs. The concern is the mismatch between the AMT tweeter behaving far field vs the midrange behaving near field; to be further analyzed. The one thing you should plan-on with a design like this is a stepped baffle, with the tweeter being inset the most, then the mid.s, and no inset for the woofer array. (..and typically with a bit of felt placed above and below the tweeter to avoid reflections. Stepped baffle to time-align the drivers? Making sure I'm not missing something, as my system is active and time-aligned through the digital xo and DSP, so wouldn't need to step the baffle for time-alignment, while I do need to manage diffraction and reflections of course. 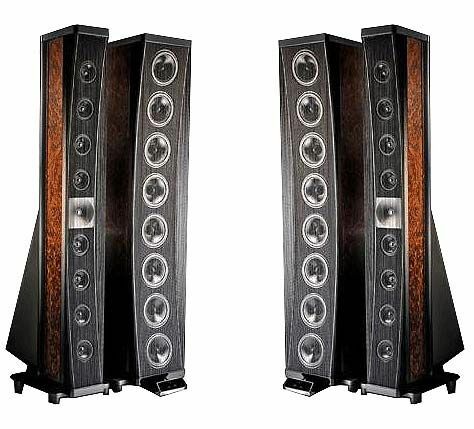 Have you ever looked at Nola Speakers - specifically the Baby Grandes? I forgot to mention - open baffle too. Do you happen to know which 4.5" midrange drivers they use? I'm sure there are drawbacks as it would otherwise be more widely used, and I'd like to learn pros/cons of this approach. Phase issue is not unavoidable with Array or MTM. I compared single midrange and multiple ones with the 1500Hz 4 pole crossover. Although the difference can't be clearly measured with my low cost environment, the multiple midranges certainly blur the transient. Vocal is noticeably less intimate, more artificial than single unit. Cost may be a very good reason we don't see it more often. Waysayso, an average audiophile just wants to see more units on the speakers sadly, and I believe that is the main reason why mainstream audiophile speakers have a lot of units. 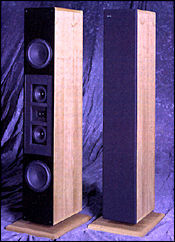 The cost of the unit is trivial compared to the whole speaker price. I have been using MTM monitors for 15 years, and I know their pros and cons. Waysayso, an average audiophile just wants to see more units on the speakers sadly, and I believe that is the main reason why mainstream audiophile speakers have a lot of units. I ran some numbers and looking to get feedback from experienced users. Glad to see wesayo here - loved your tower build thread! I checked you use the Vifa drivers. I looked around some and decided to run my excercise with Faital Pro 4FE35: nominal 8 ohm, 91 dB sensitivity, 100mm flange diameter. It has very nice treble extension and should easily get to 3kHz and my xo point is targeted at 2kHz. The paper talks about a tweeter low frequency cutoff as 1/(3h), or 392Hz. Also talks about a woofer low frequency cutoff as 1/(9h), or 131Hz. Considering I'm thinking a midrange array with a low xo point around 450Hz I don't know if these have any bearing in my calculations? Anyone? A key consideration is the transition distance between near and far-field, defined as 1.5*f*h^2. Using 450Hz for f, I get 49cm transition distance...Using 2kHz for f I get 2.17m which is close enough I guess to my 2.4m listening distance (front baffle to ears). So basically all the midrange will be operating in the far field. Power tapering: I modeled drivers 3 and 4 connected in parallel to 1 and 2 connected in series between them, and also 5 and 6 in series between them. The driver is 8 ohm nominal. BTW, should I use nominal or minimun impedance for this? 1/Za = 1/8 + 1/8 + 1/16 + 1/16, so Za = 2.7 ohm. Hence the efficiency gain would be 7.8dB and the system gain would be 4.8dB, therefore a total midrange sensitivity of 103.6dB (91+7.8+4.8). Well, that's my taste and belief. I simply prefer Voxativ, Altec or Tannoy to Dynaudio, although I still use 2 different MTM monitors for some reasons. Last edited by plasnu; 10th September 2017 at 07:55 PM. Well, that's my taste and belief. I simply prefer Voxativ, Altec or Tannoy to Dynaudio.